Buttons the Shih Tzu taught himself how to be an assistance dog and has given unending support to his owner through serious illness and given her a new life to look forward to. Hannah and Buttons were chosen from the Man’s Best Friend category. 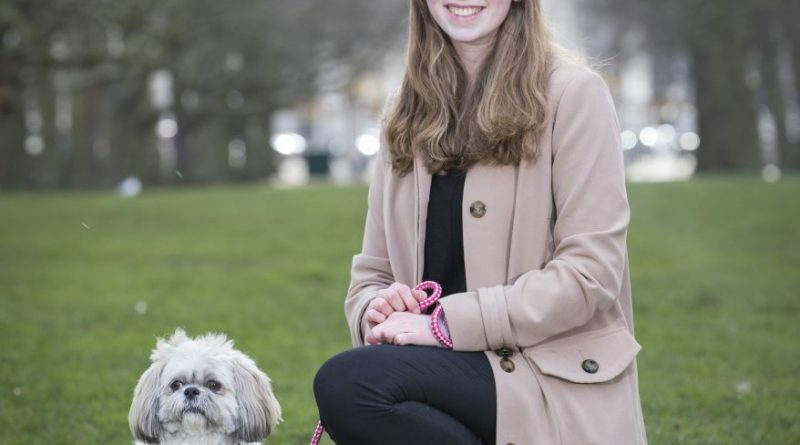 Hannah Gates has owned her Shih Tzu, Buttons since 2013. In the summer of 2014, Hannah was diagnosed with a near fatal case of ulcerative colitis, spending two weeks in a high dependency unit as a result. During the fortnight she was in hospital she had various procedures and scans, multiple blood transfusions, and episodes of seizures and complete unconsciousness. When she was eventually discharged from hospital, she was welcomed home by the very enthusiastic Buttons. Throughout her recovery, Buttons did not leave her side. For the entire summer holidays she would dote on Hannah, making sure she was comfortable and comforting her at any time she needed her and during those few months they created and developed a bond that is now very poignant in their everyday life. A year after the illness, Hannah had become overweight due to an intense course of steroids, so she decided to get into sport on her doctor’s recommendation. Not really a sporty person, she struggled to decide what to do and find any motivation, but with Buttons she discovered dog agility and hasn’t looked back since! The two of them have now been enjoying agility for nearly three years and have just started competing and are both loving every second. Not only has agility given Hannah many amazing opportunities, it has also helped her gain physical and mental fitness too, helping her condition. Buttons, her regular pet dog, has stepped up to the mark and become a natural assistance dog that was never planned. You can vote for Buttons and Hannah here.